Plump your pout with juicy nourishment using the Intensive Lip Treatment from AMELIORATE; a hydrating formula that provides instant relief and comfort to dry, chapped lips. 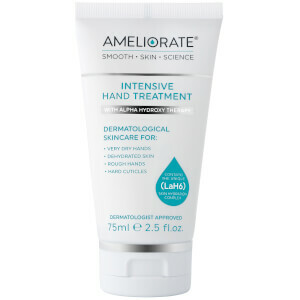 Non-greasy and rapidly-absorbed, the caring treatment contains optimum levels of active ingredients, which together with a blend of Ceramide-like Amino Acids, Oat Lipids and the brand’s unique LaH6 Skin Hydration Complex, replenishes moisture, enhances the protective skin barrier and improves elasticity. Lips are left feeling softer, smoother and healthier-looking. For best results apply liberally at night and allow the treatment to work while you sleep. 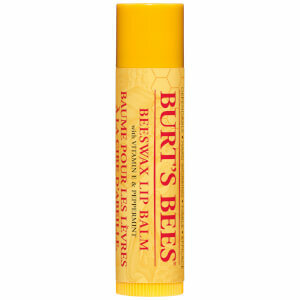 Thereafter, gently massage all over your lips daily, re‐applying as often as needed. Can be used alone as a sheer, moisturising lip cream or under any lipstick for a silky‐smooth application. WARNING: If irritation occurs discontinue use immediately. Avoid contact with eyes. If the product gets into eyes, rinse well with warm water immediately. Do not swallow. Aqua/Water/Eau, Lanolin, Glycerin, Cetearyl Alcohol, Squalane, Butyrospermum Parkii (Shea) Butter, Glyceryl Stearate, PEG‐100 Stearate, C10‐30 Cholesterol/Lanosterol Esters, PEG‐8 Beeswax, Prunus Amygdalus Dulcis (Sweet Almond) Oil, Aroma (Flavor), Avena Sativa (Oat) Kernel Oil, Cucumis Sativus (Cucumber) Oil, Dimethicone, Phenoxyethanol, Phytosteryl/Octyldodecyl Lauroyl Glutamate, Sesamum Indicum (Sesame) Seed Oil, Sodium Benzoate, Phospholipids, Potassium Sorbate, Pentylene Glycol, Xanthan Gum, Calcium PCA, Hydrolyzed Milk Protein, Stearic Acid, Disodium EDTA, Lactic Acid, Serine, Sodium Lactate, Sorbitol, Urea, Saccharin, Palmitic Acid, Sucrose Stearate, BHT, Phenethyl Alcohol, Sodium Anisate, Sodium Chloride, Sodium Levulinate, Citric Acid, Aloe Barbadensis Leaf (Aloe Vera) Juice Powder, Glyceryl Caprylate, Nigella Sativa (Blackseed) Seed Oil, Tocopherol, Helianthus Annuus (Sunflower) Seed Oil, Allantoin, P‐Anisic Acid.